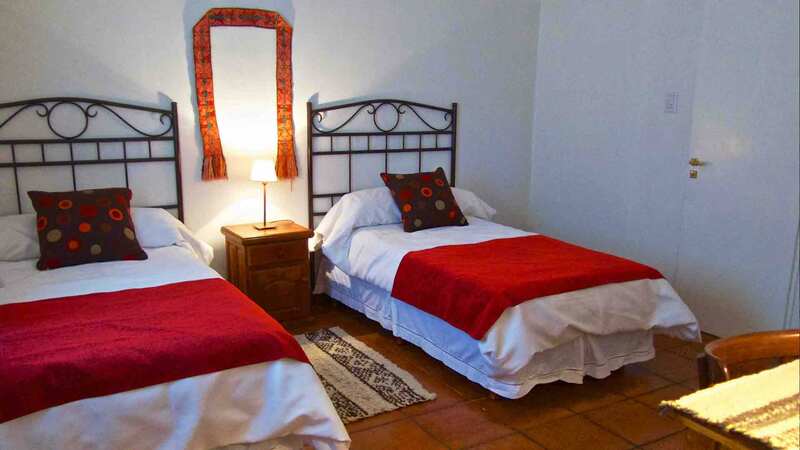 Capitán Lodge, formerly known as Kooi Noom, is located in the heart of Southern Patagonia. 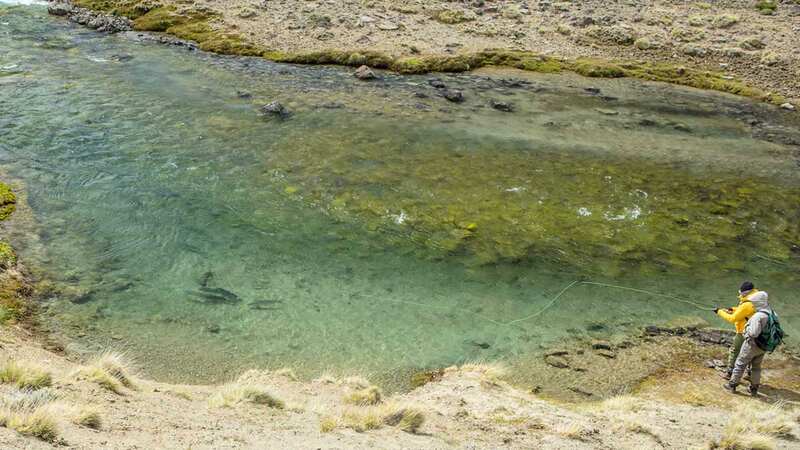 Unlike Jurassic Lake, Lago Quiroga is an open system, and its trophy rainbows can freely swim out to the interconnecting lakes and rivers. 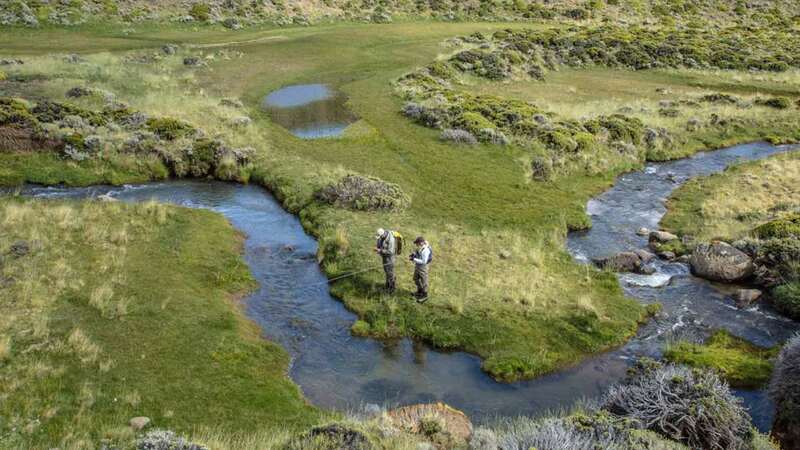 Here, you'll fish several lakes and rivers, including the rugged, Rio Capitán, for which the Lodge is named. These private, scud-filled waters were initially stocked in 2007. Within five years, there were numerous trout pushing 15-to 20-pounds. Trophy rainbows up to 25-pounds have been landed here. 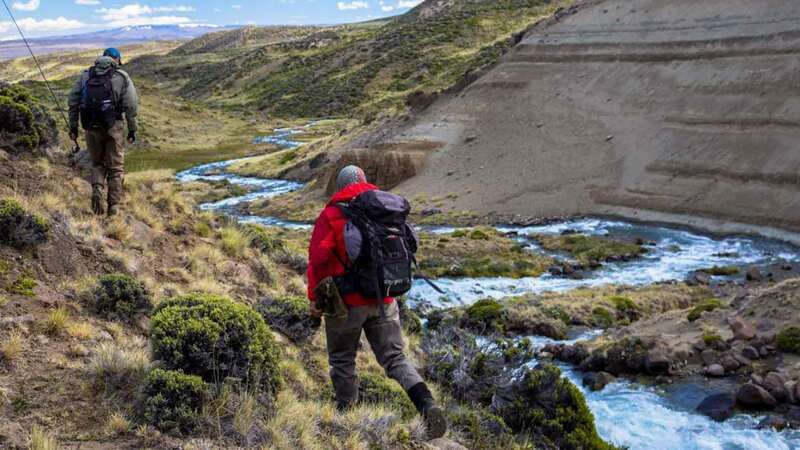 You’ll fish the two primary rivers—the Rio Capitán and Rio Chico. The Capitán drains the massive Lago Quiroga and drops as much as 250 feet per mile. The Rio Capitán is the steepest and most unique pocket water system in the world. This crystal-clear river is totally private, physically demanding, (requiring a lot of hiking) and incomparably rewarding. These waters produce a considerable amount of food for trout which can grow to incredible sizes. Rio Capitán has three distinct walk-and-wade beats with large fish hiding in small, swift pockets. 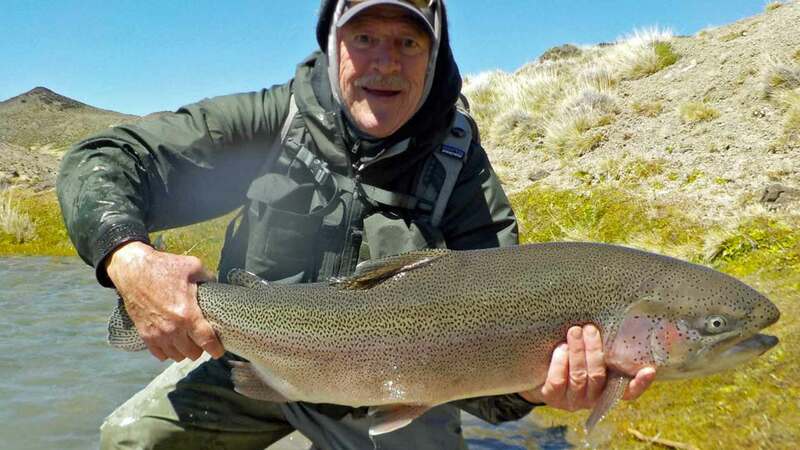 Both rivers hold trophy rainbows averaging 3-to 15-pounds—some of the biggest trout in the entire Patagonia region. Most of these fish have never seen a fly before. Streamers, nymphs, and dry flies are all effective. 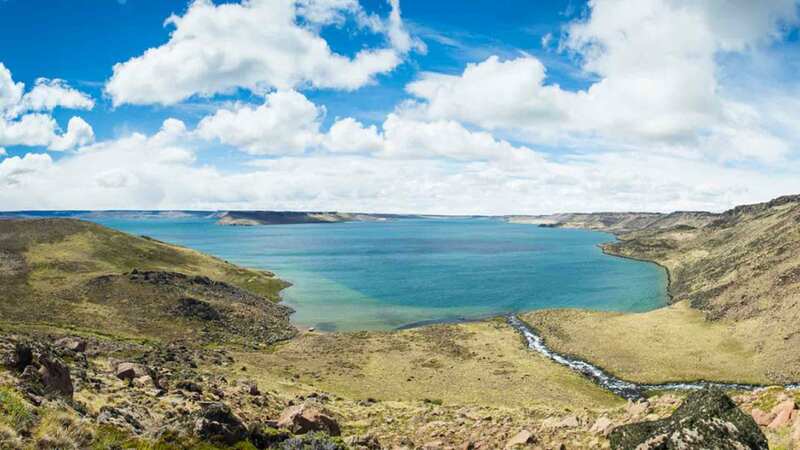 Quiroga Chico Lake is located on top of a plateau and is difficult to access. However, a very steep slope/river connects the lake to a lower lake with a similar name—Lago Quiroga. The lower lake's main tributary and several smaller creeks, hold good numbers of large rainbows. You'll also fish Lago Toro, a smaller lake, and host to a robust population of medium-sized rainbows. A creek draining into the lake also offers good fishing. 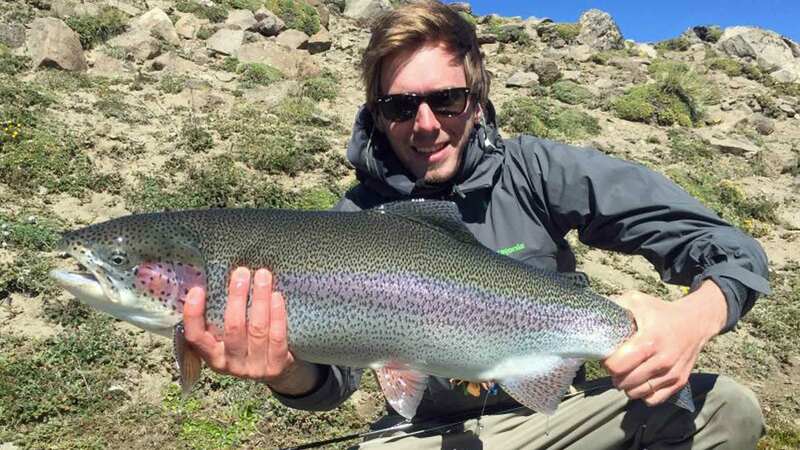 From November to early January, anglers pursue the largest rainbows at the Rio Capitan’s slow upper beat, where it flows out of Lake Quiroga. The Fishing Season runs from November to April. 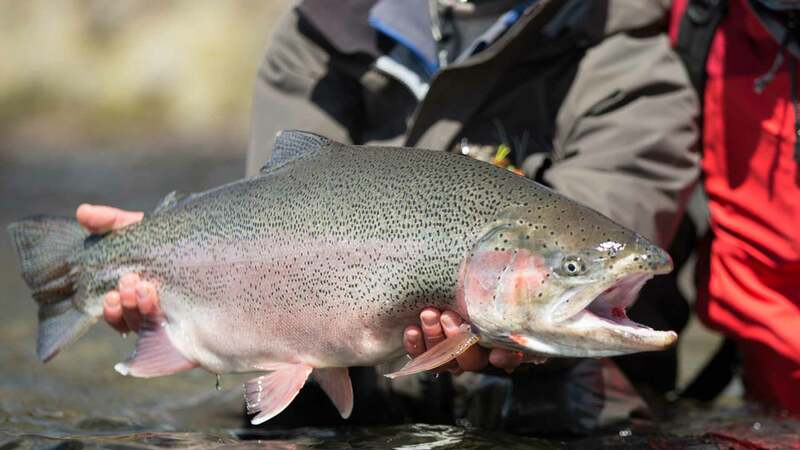 The months of November and April can be cold but have massive runs of trophy rainbows from the lake system. Peak fishing months are November - January and late March. Be prepared for windy conditions. January and February are the warmest and windiest months here. Guides: Experienced English-speaking guides transport you to fishing beats in 4WD vehicles. All beats are within four miles of the Lodge. Hiking: The Rio Capitán, an optional river to fish, requires a good deal of hiking up steep banks. Boats: 25’ rigid inflatable boat with outboards to navigate the lake and reach some streams and creek mouths. Boat fishing is only an option on rare days when it is not windy. 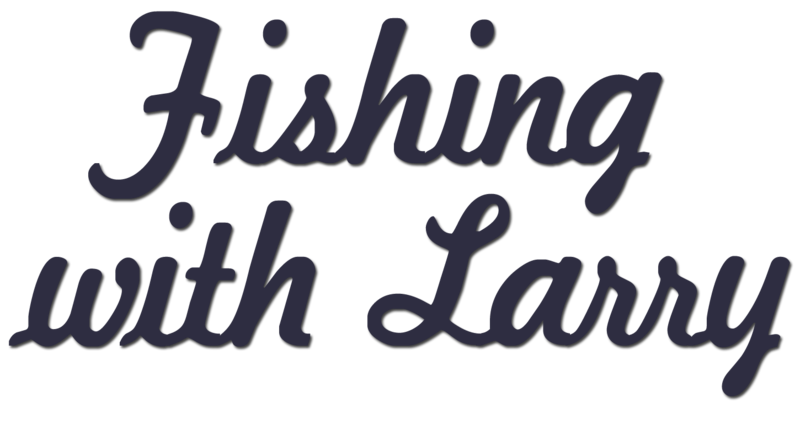 A sample fishing day: Breakfast is served at 8:00 a.m. You’ll leave for the river around 9:00 a.m., and fish until around 1:00 p.m. You’ll enjoy a streamside lunch of meats, cheese, olives, fruits, vegetables, and wine. After lunch and siesta, you’ll fish until 6:00 p.m. Guides will drive you back to the Lodge where you'll take a shower, and enjoy the open bar before dinner. Dinner is served late in Argentina, typically at 9:00 p.m. Fishing times are flexible. 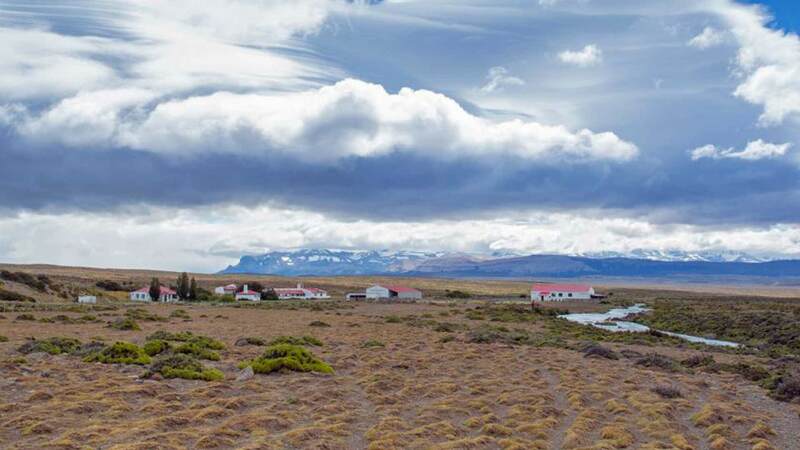 Capitán Lodge is located in the heart of Southern Patagonia on a beautiful, family-run estancia only a few miles from the fishing grounds. The Lodge has a territorial view of the beautiful Andes Mountains. The Lodge accommodates six anglers at a time in three, double-occupancy guestrooms with private baths. The Lodge has two wind generators that provide around-the-clock electricity and Wi-Fi. Meals: Traditional Argentine meals such as lamb roasted over an open fire or a once-a-week asado (barbecue) are paired with excellent Argentine wines. Open bar: All wine, beer, and local spirits at the Lodge are included in the package. 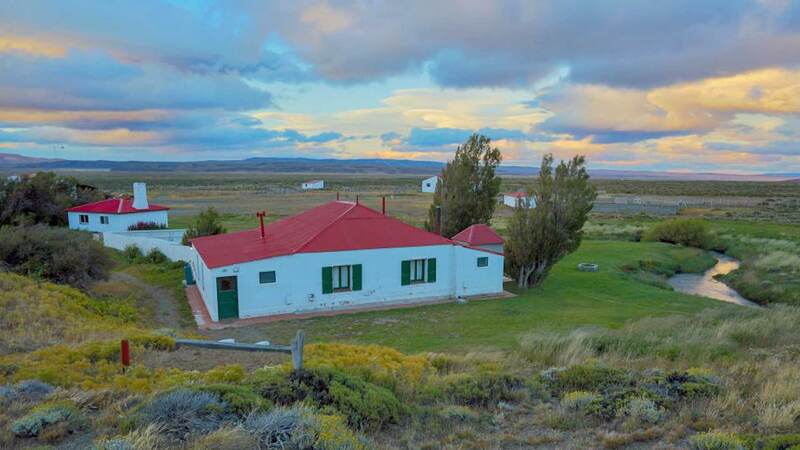 Roundtrip ground transfers from El Calafate to the Lodge, meals, all wines, beer, and local spirits at the Lodge, guided fishing, fishing license, laundry service, and Wi-Fi. International or domestic airfare, ground transfers/hotels/meals in Buenos Aires or El Calafate, domestic flight from Buenos Aires to El Calafate, fishing gear and tackle, gratuities for guides and house staff, and anything not mentioned under inclusions. Day 1: Arrive in Buenos Aires. Depart for Calafate, a six-hour drive. You’ll fish for the rest of the day. Days 3-8: Six full days guided fishing. Day 9: Depart for Calafate in the morning. Depart for Buenos Aires and home. Lago Quiroga is 1,045 meters above sea level and is approx. 5.9 miles long by 4.3 miles wide. Photo credit: Matt Jones Photography. Trophy rainbows congregate in these nutrient-rich, scud-filled waters. 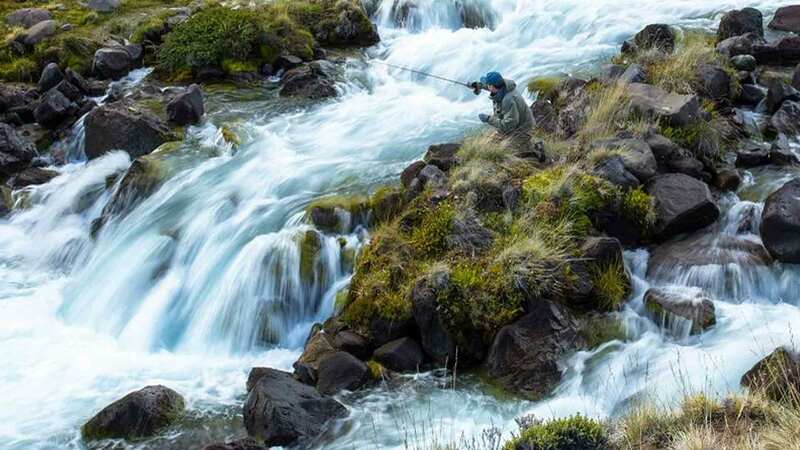 Patagonia trout fishing paradise. Photo credit: Matt Jones Photography. An intimate creek flows out of Lago Toro and gently meanders by the Lodge. Photo credit: Matt Jones Photography. The Rio Capitán has three beats. The upper beat is accessed by a 4WD truck. You'll have to hike to the steep, lower beats. The Lodge, a comfortable, remodeled ranch home has three bedrooms, each with private bath; and wind-powered generators for around-the-clock electricity and Wi-Fi. Photo credit: Matt Jones Photography. Comfortable lodging, delicious meals, an open bar is included in the package. Photo credit: Matt Jones Photography. 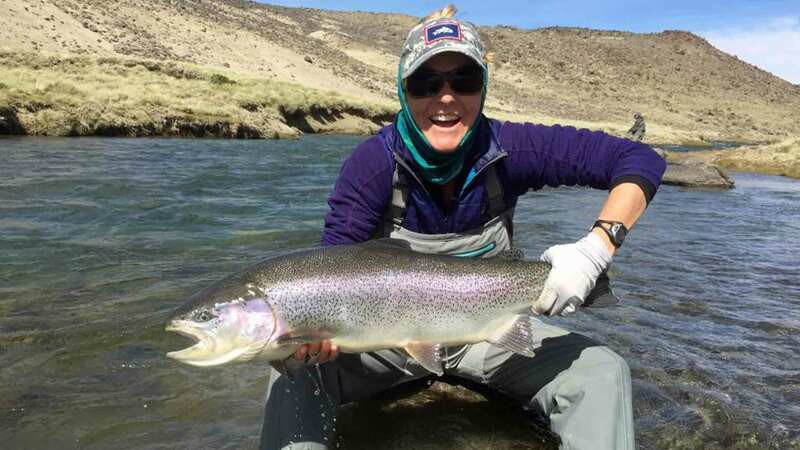 November and December are the months for trophy fish in Lago Quiroga and the Rio Capitán.